More than a dozen mayors in southeastern New Brunswick are urging the provincial government to deny a private company’s proposal to truck garbage from the Saint John area to a landfill in Nova Scotia. At last week’s meeting of Sackville Town Council, Mayor Higham circulated a letter he had signed along with the mayors of several other cities, towns and villages, including Moncton, Dieppe, Memramcook, Shediac, Port Elgin and Dorchester, urging Environment Minister Serge Roussell to put a stop to the plan. The Toronto-based, waste management company, GFL Environmental Inc., applied for a provincial permit in October to build a garbage transfer station in Saint John. GFL wants to use the station for shipping industrial, commercial and institutional waste (known as ICI waste) to a landfill the company owns in the Nova Scotia Municipality of West Hants, which includes the areas around the town of Windsor, N.S. The letter, signed by the mayors, is from the Southeast Regional Service Commission also known as Southeast Eco360, the body that oversees the regional garbage disposal system. It operates the regional landfill site as well as recycling and composting facilities. The letter warns Roussell that GFL’s plan would set a precedent that could eventually undermine the financial viability of New Brunswick’s entire garbage disposal system leading to job losses, higher taxes and a reduction in services. The mayors’ letter makes it clear that the disposal of ICI waste in the regional landfill pays for other services that Southeast Eco360 is required to provide including recycling, composting and the disposal of household hazardous waste. Recent fee increases will require companies to pay $99 per metric tonne for disposal in the landfill if their ICI waste is not sorted and separated for recycling. (ICI garbage often contains recyclable or compostable materials such as paper, cardboard and food wastes.) If the ICI waste is sorted, the disposal fee is reduced to $75 per metric tonne. Belliveau says the fee structure encourages companies to sort their ICI waste diverting garbage away from the landfill. “Putting it in a hole is not a solution,” he says. But, he worries that if companies could dispose of their ICI waste more cheaply by shipping it to a landfill in Nova Scotia, they would have less incentive to sort and separate it. And, the southeast regional waste disposal system would lose revenue that pays for recycling and composting services. To read the mayors’ letter to Environment Minister Rousselle, click here. Concerns over GFL’s plan to ship garbage to Nova Scotia arose in October when the Fundy Regional Service Commission first urged the environment minister to deny the company’s application for a permit to build a transfer station in Saint John. Fundy Executive Director Marc MacLeod says GFL collects about 10 per cent of the Fundy region’s ICI garbage and that’s what the company wants to ship to Nova Scotia. It would mean that Fundy would no longer collect disposal fees on that ICI waste — fees that help fund the recycling and composting facilities that divert materials away from its Crane Mountain landfill in Saint John. “I don’t have a problem with private industry,” MacLeod says in a telephone interview. “I just have a problem with the fact that these guys can put profit in their pocket at the expense of the [waste] diversion programs,” he adds. In his letter to Serge Rousselle, MacLeod warns that if GFL gets a permit allowing it to export ICI waste, other private-sector competitors will follow suit depriving the regional disposal system of even more revenue leading to job losses at its recycling and composting facilities and increasing costs for New Brunswick taxpayers. To read MacLeod’s letter to the minister, click here. 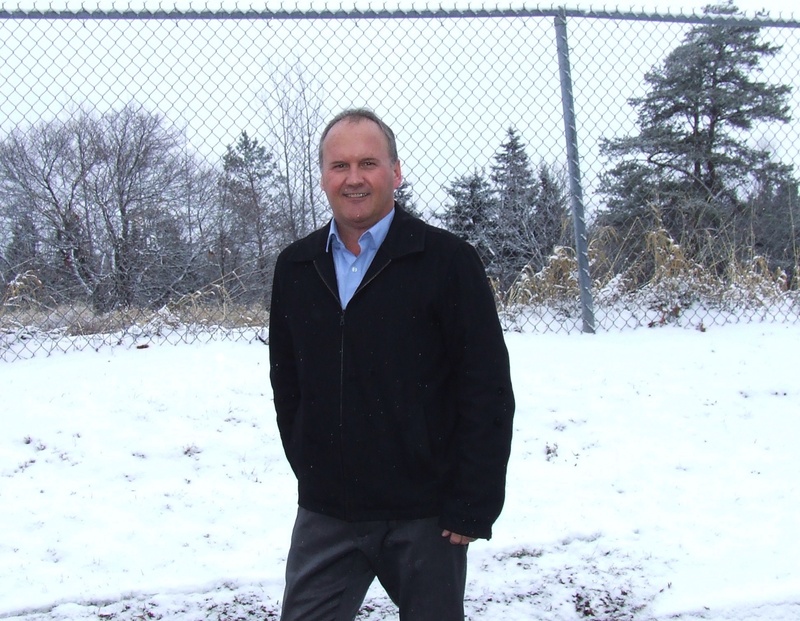 The business development manager for GFL Environmental says the company is seeking partnerships with New Brunswick’s regional waste disposal commissions. Over coffee at the Sackville Tim Hortons, Joey Warwick, who is based in Saint John, says waste disposal facilities in the Maritimes could be used more efficiently. “We’re not the enemy, we want to be a partner,” he says. Warwick adds, for example, that GFL trailer trucks hauling ICI waste from Saint John to the company landfill in Nova Scotia, could return with a full load of recyclable materials that could be processed here creating jobs in New Brunswick. Meantime, a spokesperson for Serge Rousselle e-mailed a one sentence answer to my request for the minister’s response to the letters from the regional service commissions asking him to deny the GFL application. “I can confirm that the Department of Environment and Local Government has received an application from GFL and it is currently being evaluated,” the e-mail says. This entry was posted in New Brunswick government, Town of Sackville and tagged Gerard Belliveau, GFL Environmental Inc., Joey Warwick, Marc MacLeod, Mayor John Higham, Serge Rousselle. Bookmark the permalink. How ironic to read about this NB’s garbage story whilst in Beirut. I say this because Lebanon seems to have a garbage crisis right now (on top of the region’s bigger conflicts!). Seriously, thanks to the New Wark Times for this article. It would be perhaps inspiring to learn some tips from Sweden’s successful waste management system. This would perhaps limit the need to export…or even burn garbage.